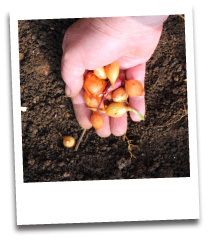 As April progresses you can get sowing with summer vegetables outdoors. Peas are a good start, making further sowings at three week intervals until early June. You can try dwarf French beans grown in pots in the greenhouse. Harden off plants grown in cold frames – onion, leek, cauliflower, pea, broad bean and lettuce – ready to plant out later in the month. Train and top dress early cucumbers grown in frames. Start leeks in a greenhouse. Sow globe artichokes, spinach, carrots, turnips kohl rabi, radishes, lettuces, spring onions, summer cabbages and cauliflowers.